Try this awesome WordPress theme for your blog, magazine or news site and feel the best ever experience. Its added premium features, adsense compatible design, author widget as well as numbers of widget area will help to showcase your contents in a dramatic way. Extract read-more-pro.zip and upload the folder. One click demo import is available on Read More Pro. Slider Section have options to choose the slider from Child/Parent page. Parent Page and Child Pages. Look here to know about how to create a Child Pages. Select the parent page on the customizer for the slider and it’s child pages will be the slider items. How to Increase the number of Post on Home Page/Blog Page ? Sidebar: This is the primary sidebar, and the content of the sidebar will appear on the Right side. Sidebar Left: The content of this sidebar will appear on the left side. Home Main Content Area: If you add any widgets on the area, it will appear on the home page. You can add all the available widgets on this section. Go to Appearance > Widgets to add them. Footer Full Width: This widget area will appear just above the footer and it will occupy the full width of the footer just above section. It will appear on inner pages as well. Footer Column One: You can add up to 4 column on the widgets area. Check Appearance > Customize> Footer Options and the first one will appear on the left. Footer Column Two: It will appear just after the column one. Footer Column Three: It will appear just after the column two. Footer Column Four: It will appear just after the column three. (Footer Right). If other footer are empty, it will appear on left side. Super Top Area: This section will appear on the top section of the side. Above the top menus. Check once. After Top Menu/Before Logo: This will appear after the top menu and before the logo. After Logo/Before Menu: This widget area will appear just below the logo and just above the primary menu. After Menu: If you want to add any Ads, content just below the menu, this widget area will be good for you. Single After Content: This widget area will appear on every single page, just after the content. Read More Pro comes with 7+ Added custom widget with lots of features on them. You can change the layout, meta options, image size and more other things with the available custom widgets. AT Author: This widget is helpful to add the author details on your site. Check our demo for more details view. 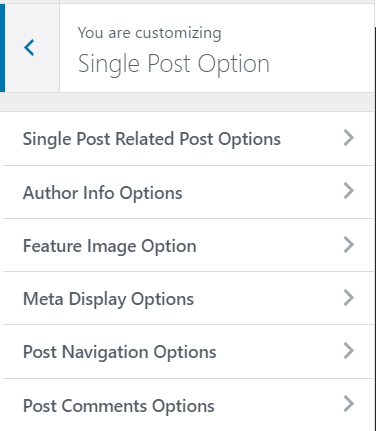 AT Feature Posts Column: With the help of AT Feature Col Post widget, you can featured your post. Make sure, you have minimum 5 post on that category to make the best design using this widget. 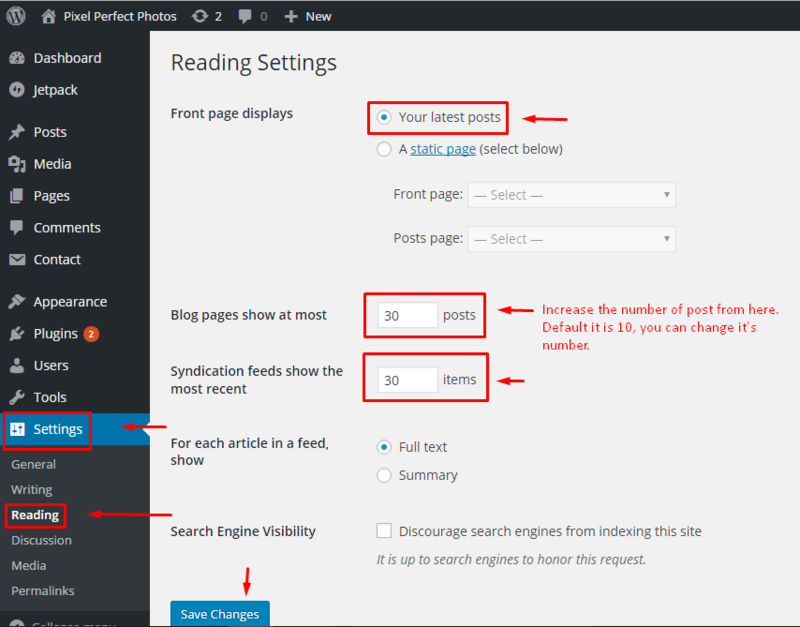 AT Popular Feature Posts Column: This will help to feature the post through the popular post. AT Popular Posts Column: This help to show the popular post in the column design. You have options to change the column numbers. AT Post Column: Post will appear on the column format from the selected category or from the recent post. You have lots of options to manage this widget. AT Tabbed: This widget is for, popular post, recent post and comments tab. You can show/hide any of the tabbed section as well. Read More Pro comes with lots of added features to override the global options of customizer through the single post/page options. 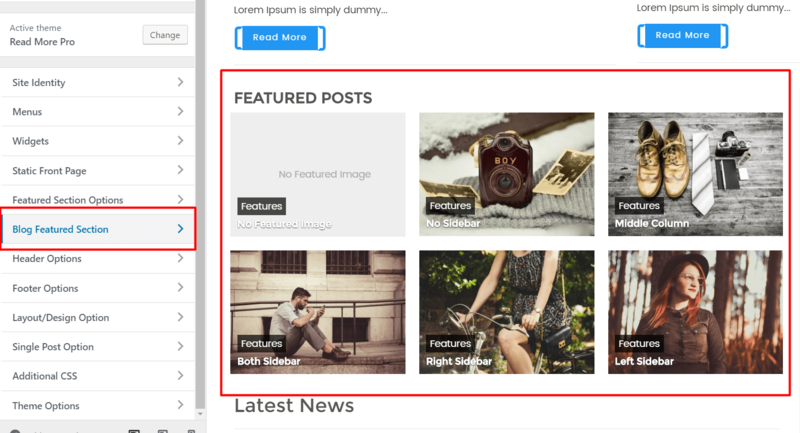 You can choose the sidebar layout options and featured image options for individual pages. If you want to change the sidebar for the individual page, edit the page and scroll to down and you will find the options for the particular single page. Default Sidebar, Right Sidebar, Left Sidebar, Both Sidebar, No Sidebar and Middle Column layout are the available sidebar options. Choose the best sidebar layout for this page. This options will help to choose the image for the individual page. The available options are: Default As Global Option, Show Featured Section and Hide Featured Section. Featured video section on the individual page will help to make the single post with featured video post. You can post the youtube or vimeo video with the help of this section. This is the WordPress feature. You have options to add featured image on the post/page. In this theme, if you add the featured image, it will appear on blog/archive page, single page, related post and previous and next post. This is the blog/magazine theme so we recommend you to use the featured image on every posts. If the post need tags, you can add it through the single post. Add or Add and Select the category for the respected post. It will help to manage the section in the better way. This section will help you to manage the logo, site title & tagline. You have options to add site icon as well. This theme have two menus location. Create a menu and add the items and set the location for the menus. Top menu support only one level. You have 13 widget are and 7+ custom widgets. Use the available widget on the specific widget area to make your site awesome. Choose the front page and blog page from this section. This is the WordPress feature itself. Select Category, Recent Post,Child/Parent Page, Custom or third party for the slider. How to manage the number of sidebar on footer? How to write your own powered by text? Write your own text on Your Own Powered By Text section. Note: You need to First enable Theme Name And Powered By Text above section inside there. Select the available options for the sidebar. Checked on Enable Sticky Sidebar Loader to enable it. If preview is fine, click on Save & Publish. Select from the available options, Default or Advanced. How to change the button design? Read More have a unique layout on the button design. If you want to change the button design to normal, you have options to change it on customizer. Select from the available options, Normal or Design 1. From this section you can manage the every entity of the Blog/Archive Page. Check the available options there. You have Advanced Color Options as well on the theme. 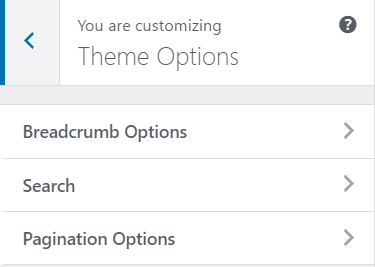 Theme Options helps to manage the section including Breadcrumb, Search Placeholder , pagination options etc. Manage the every section for Breadcrumb, pagination and Search Placeholder.